Are the New Federal Standards for School Lunch Helping our Kids? School lunch programs in the United States are required to follow policies laid out by the Healthy Hunger Free Kids Act which was signed into law by President Obama in 2010. This new law, championed by First Lady Michelle Obama, claims that it will improve the critical nutrition and hunger safety net for millions of children. School districts are mandated to serve healthy foods for lunch and breakfast. What sounds like a great idea is costing these school districts lots of money and kids are hungry while at school. These rules sound great and I agree that children should eat healthy nutrient rich foods. After implementing these new regulations school districts are learning that kids are throwing out most of their lunch which is costing the district lots of money. 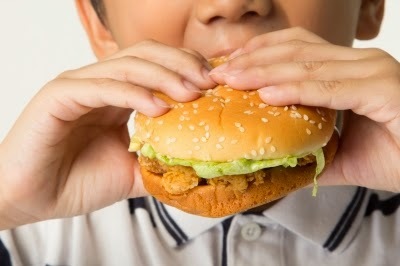 Due to the fact that kids are refusing to eat the healthier foods they are hungry during the day. Teachers say that this effects their performance in school. And the calorie content in these new lunches are not enough for student athletes. For a lot of American children hot lunch at their school is the only option. For example, at one high school 60% of the students get free or reduced lunches. (source: foxnews.com video “Student Starts Petition to Bring Back Cafeteria Favorites“) These families can not afford to send their kids to school with a cold lunch from home. School districts are required to follow the Federal nutrition guidelines laid out by Healthy Hunger Free Kids Act. These healthier foods are more expensive than what was served prior to the law being implemented. Money is being wasted when kids throw away their lunch and the districts are suffering. Are these Federal regulations working? In 2012, Healthy Moms Magazine reported that Childhood Obesity Rates are declining in the United States. But the researchers in this study concluded that it was attributed to the fact that more mothers are choosing to breast feed and companies are spending less money food marketing to children. I believe that the Federal government needs to stop telling school districts what they should and should not feed their students. Local communities need more choices on their school lunch programs. Let the districts decide what is best for their children. I encourage parents to contact their local congress representative and request that Healthy Hunger Free Kids Act get appealed so we as parents, communities and school districts have more control over what our children are eating at school.